Like many Singaporeans, I’m always out for a good bargain. 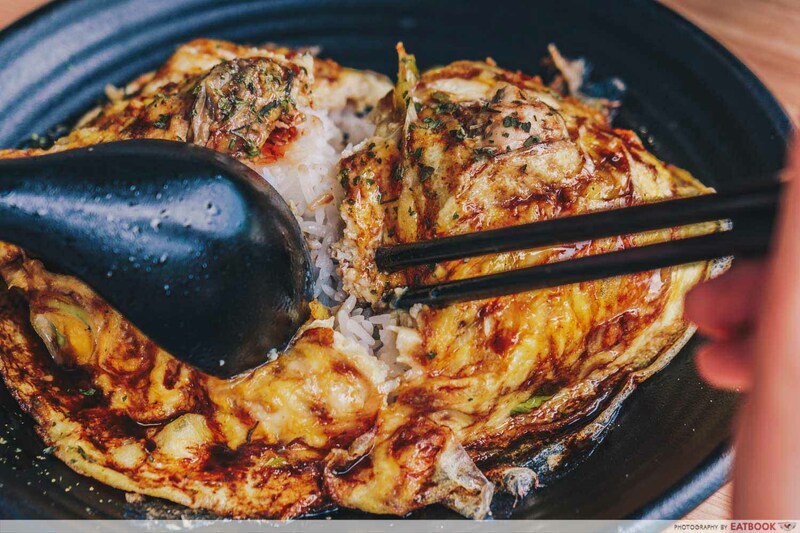 Therefore, when my colleague raved about the $3 oyster omelette rice at Seafood Pirates, my interest was certainly piqued. And my little excursion to Yishun Park Hawker Centre was indeed rewarding. 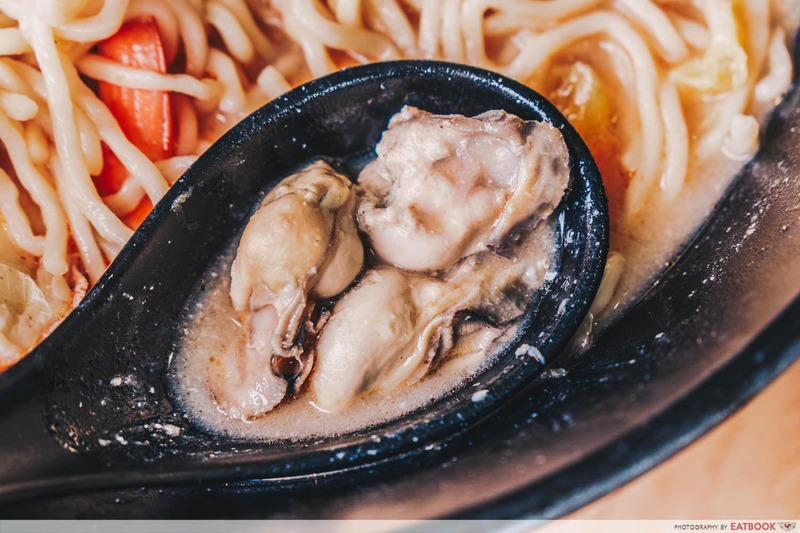 Not only was I pampered with fat and juicy oysters at an affordable price, but I was also treated to a bowl of toothsome seafood soup. Forget about flashy knife techniques and eye-grabbing flambé displays. 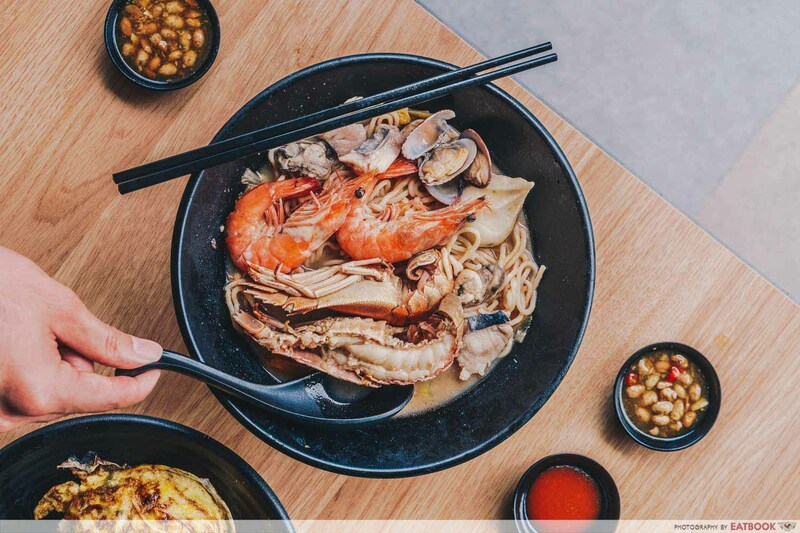 What chef-owner Darren Teo relies on instead are fresh ingredients, generous portions, and his perfectionist attention to detail. 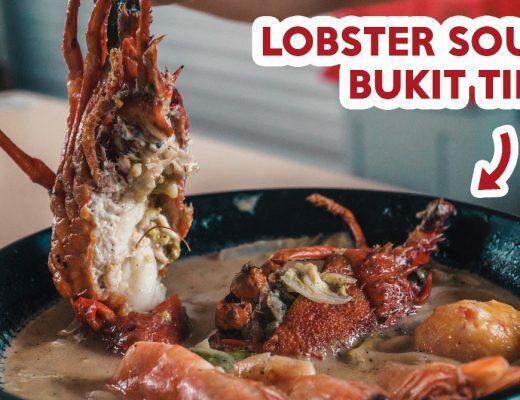 This is best reflected in the Pirate’s Ultimate ($12/$14) – a hearty soup peppered with a smorgasbord of seafood such as crayfish and oysters. 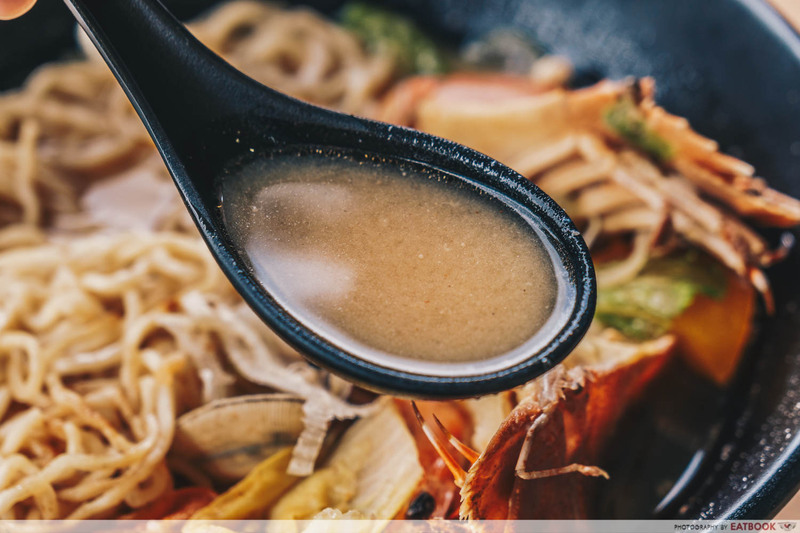 The heart of any broth lies in its stock and here’s where Darren’s meticulousness shines. The base is a chicken bone stock, which is stewed through the night to tease out the essence of the bones. Stacked on top of it is a fish bone and dried sole fish stock, which is pressure-cooked for ninety minutes. 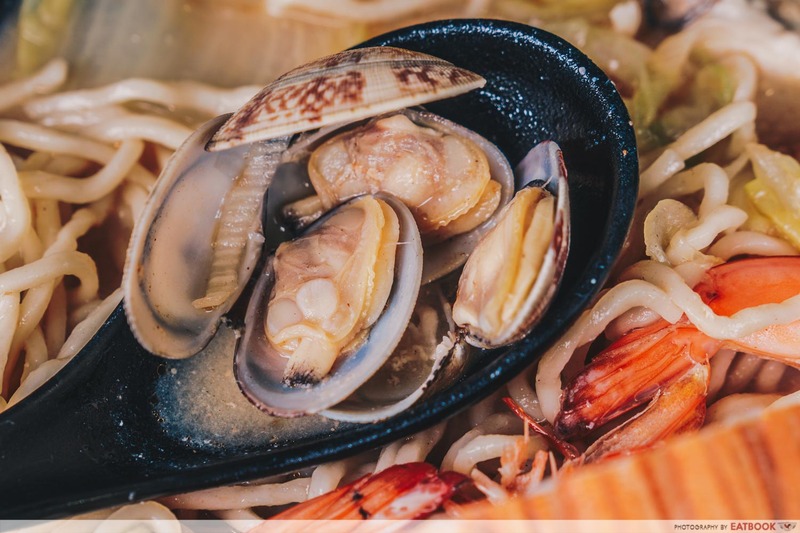 Effusing a fragrance redolent of the sea, it spiked the broth with a burst of umami. The saving grace is their house-made tare (pronounced ta-re). For those unaware, tare means ramen seasoning. Added before the soup is poured in, it defines the flavour and meshes the other elements together into a cohesive medley. Interestingly, kombu is mixed into their tare, for an added injection of umami. The savoury broth was creamy, with hints of garlic oil. Reminiscent of prawn soup, it wasn’t gao (thick) to the extent that I was jelak after several mouthfuls. I also noticed a faint sweetness from sliced tomatoes, but it was mostly overpowered by the seafood-esque richness. This full-bodied broth neutralised the briny sting of the crayfish, enabling me to fully savour the luscious richness of the crayfish. Owing to its fresh quality, the succulent meat was peeled off from its shell with minimal effort. Their oysters were equally fresh. Plump and bouncy, they were a far cry from the mushy texture of frozen oysters. I liked that the oysters were brined with lemon slices, which masked its pungent fishiness. 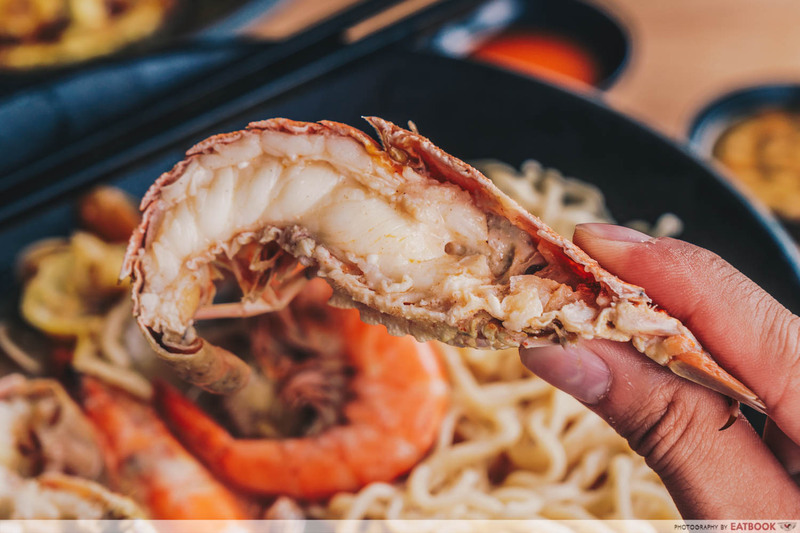 The less eye-catching clams and prawns also impressed with their crustacean sweetness. Special mention goes out to their prawns, which were of substantial size and thickness. Brimming with moisture, the meat thrilled with its firm spring. 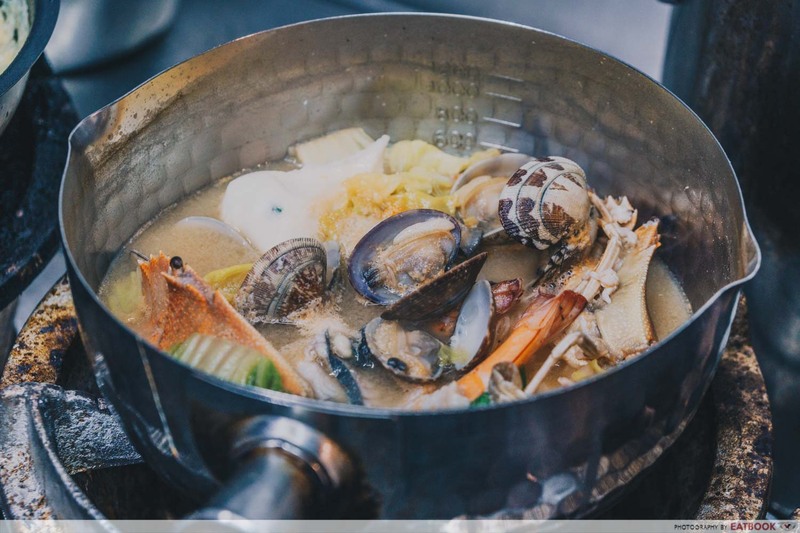 To differentiate Seafood Pirates from the typical seafood soup, Darren spiced up his soup with a few personal touches. While most stalls offer bean paste as a condiment, Darren has gone a step further and zhng-ed up his relish with chilli padi and lemon juice. 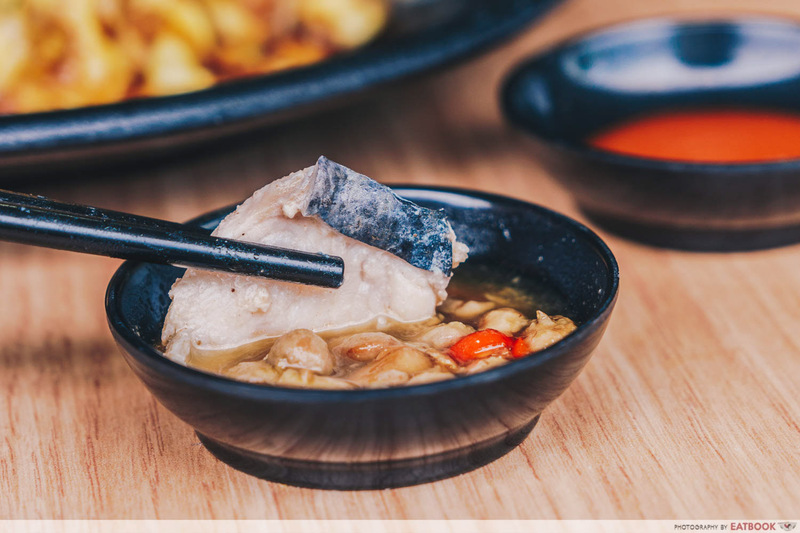 The touch of lemon injected zest to the savoury paste, which heightened the gentle taste of the batang and relieved your taste buds of the soup’s bold taste. Another rare find was the Pirate’s fish roe ball: a conical fish cake filled with fish roe. The roe bolstered the fish cake with its honeyed and buttery tang. It also complemented the fishcake with its grainy texture. However, I would have preferred a bouncier fish ball as I found this rather dense. 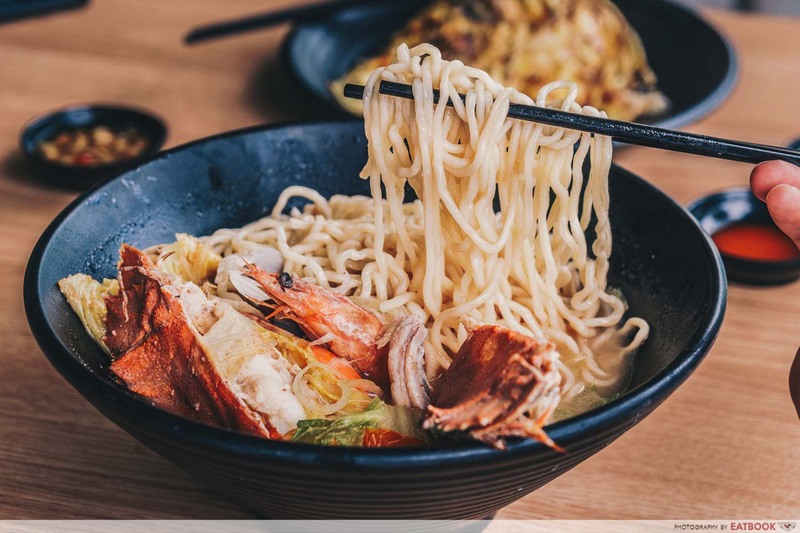 If your preferred form of carbs is noodles, top up your seafood soup with their Ramen ($1.50) instead. 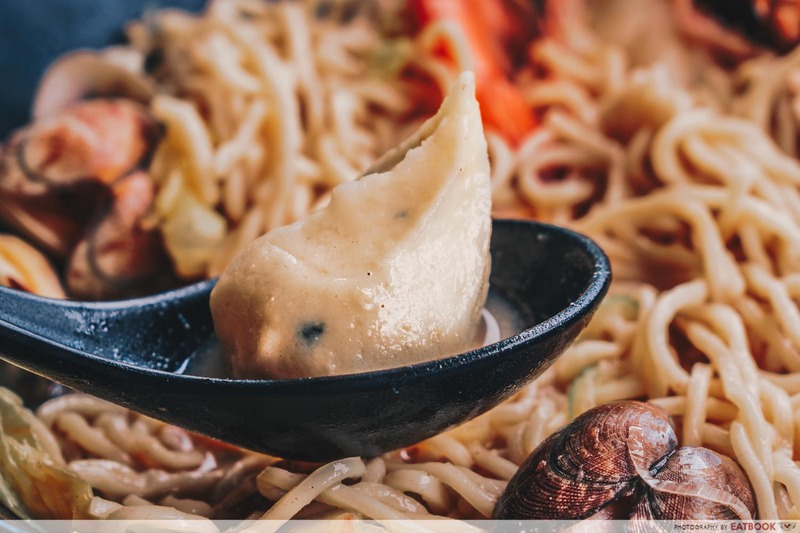 Their noodles had a very clean flavour – devoid of any alkaline aftertaste. Unfortunately, while the noodles were cooked till al dente, we would have preferred if the noodles were chewier. The other signature of Seafood Pirates is their value-for-money Oyster Omelette Rice ($3). With large oysters, generous servings of rice, and a blanket-like omelette, the dish was an enticing treat for my famished belly. 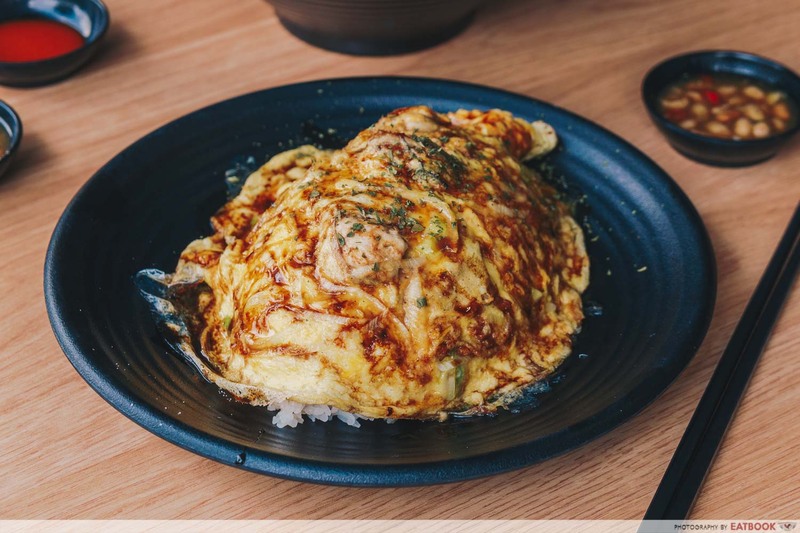 The omelette had an egg-citing silkiness, which married well with the fluffy rice and succulent oysters. The drizzle of sweet soy sauce was the icing on the cake, as its candied tang complemented the briny flavour of the oysters. And just when I found the sauce cloying, the diced scallions kicked in, providing a refreshing zing. All of these elements created an addictive interplay of textures, and I found myself gobbling down scoop after scoop of the dish. 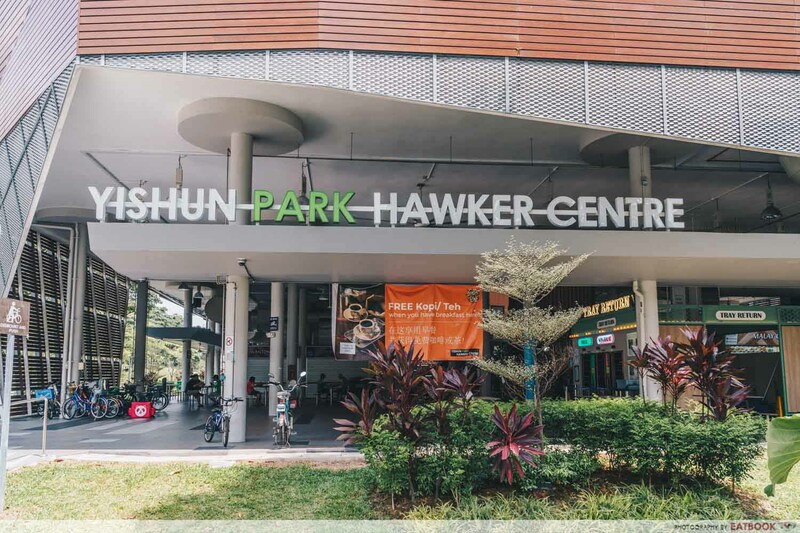 With a team of Gen Y hawkers funking up classic hawker fare, Yishun Park Hawker Centre has become one of my to-go places for unique hawker food. 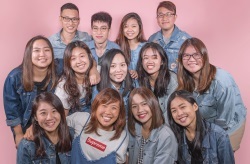 Furthermore, since the place is well-ventilated and well-equipped with a gamut of entertainment options, it’s a great place to chill with friends over a hearty meal. 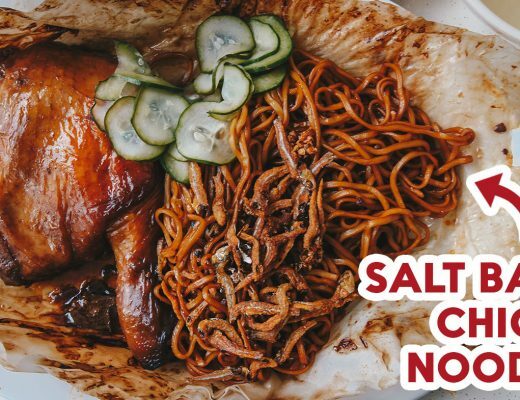 While you are at Yishun Park Hawker Centre, be sure to check out The Outslider. Their mantou sliders are smoked with a portable smoker, perfuming them with a hickory fragrance. It’s tough striking out as a Gen Y hawker. 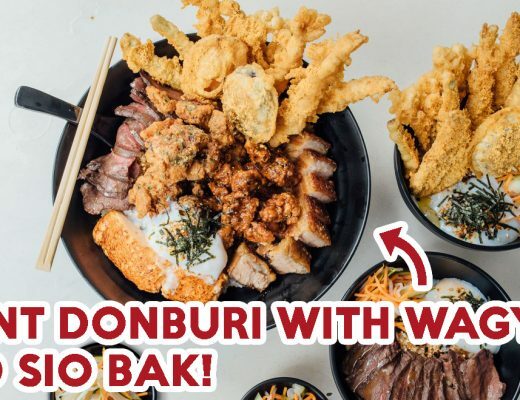 Agree to disagree, but we are reluctant to splurge above $10 for hawker food. 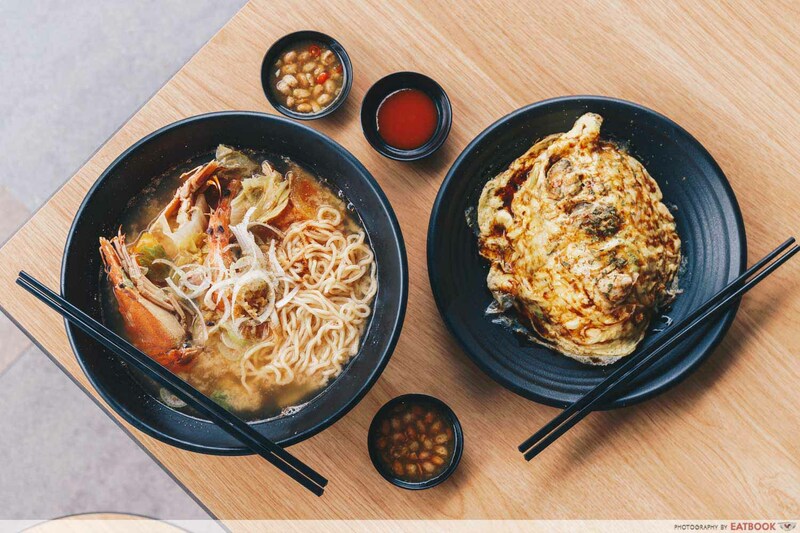 Not to mention that we Singaporeans are difficult to impress, especially when it comes to food. Thus, it’s heartening to meet hawkerpreneurs such as Darren, who strive to offer good quality dishes for cheap. 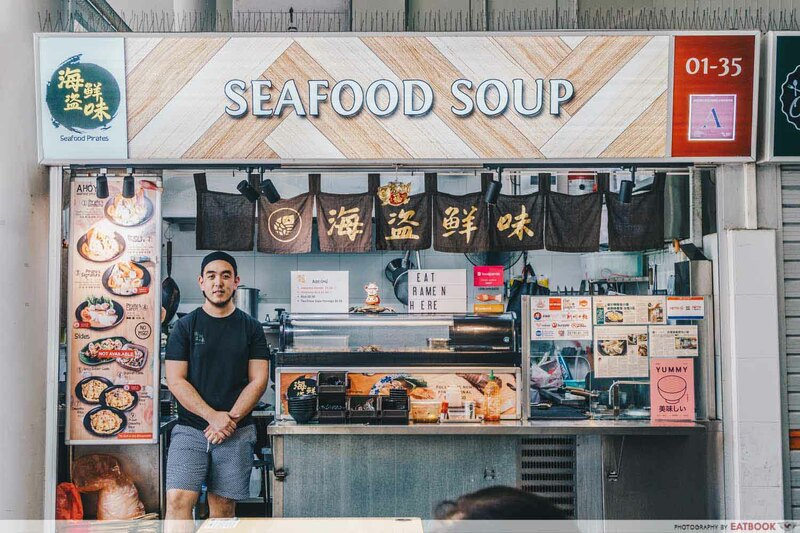 So as we work towards making hawker culture a UNESCO Intangible Cultural Heritage of Humanity, let’s take time to appreciate these dreamers striving to leave their mark on our food culture. 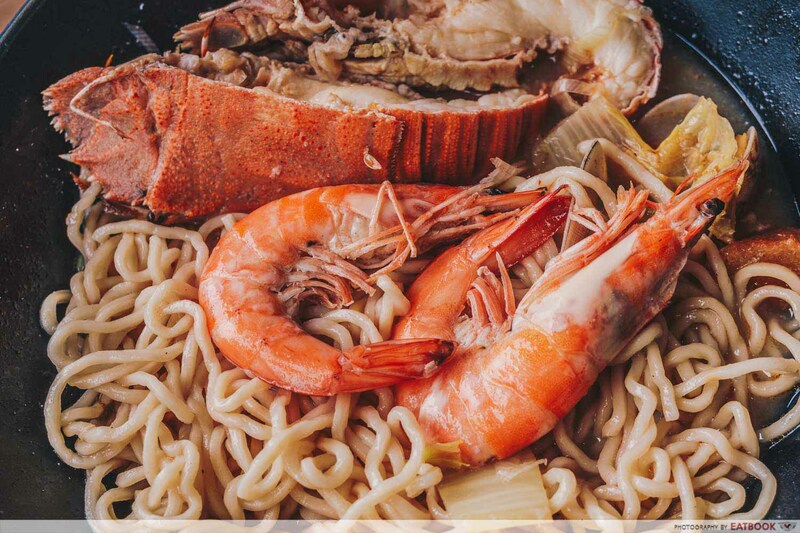 Seafood Pirates is not a halal-certified eatery, but their food contains no pork or lard.